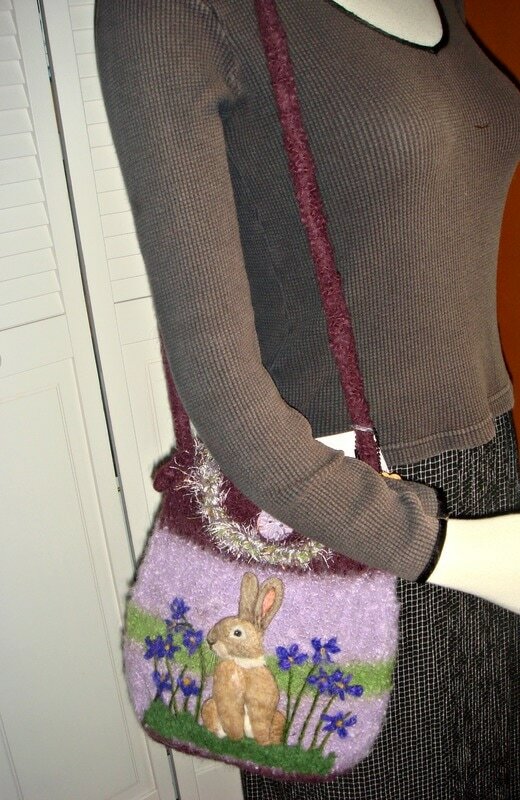 DESCRIPTION:A perfect luxurious handbag for Easter or Springtime! 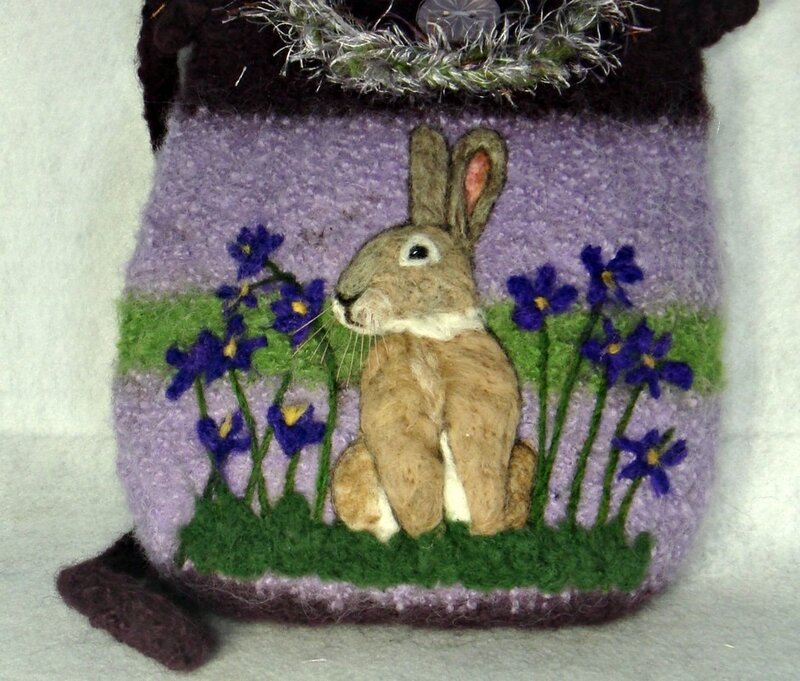 This elegant bunny highlights the front of this hand knit and felted 100% baby alpaca purse. 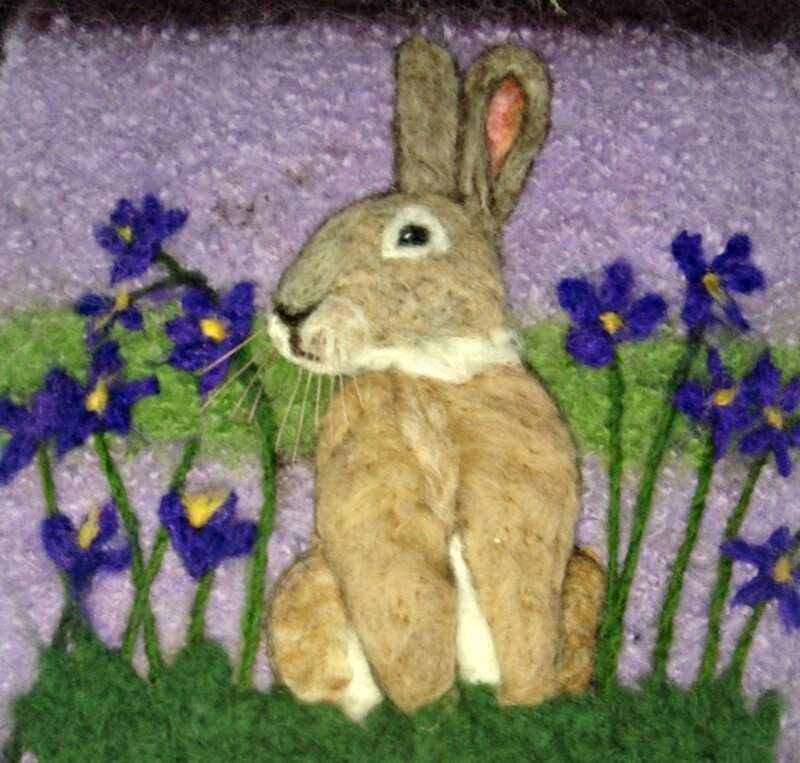 Alpaca felted purses are soft but firm and are hypoallergenic to most women who are allergic to wool. This bunny pops!! The bag has an inside pocket and closes with a ceramic lavender button. The measurements are: The measurements are: 11" by 10" by 2.5". The ADJUSTABLE strap has a drop of 20" but can easily be shortened!! Adorable!! MEASUREMENTS: 11" X 10" X 2.5"